The evening Bharatanatyam performance by Prof. C.V Chandrasekar was an eye opener for many in the audience. The clean lines, perfection in posture and footwork and precision in hand-eye movement, were new experiences. 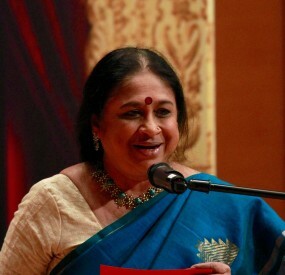 The full program included an invocation to Ganesha, a Tanjore Quartet varnam, an astapadi, Javali and Padam. Click here to see the full program list Items that should also be mentioned are “Adum azhagai paaradi”, Ksheera Sagara Shayana choreographed by Chandrasekhar as well as the concluding Hamsanandhi tillana which was composed and choreographed by him. The simple and elegant costumes distracted nothing from the aesthetic movements on stage. It was also refreshing after a long time to see a program without the usual and insipid “convent English” translations. 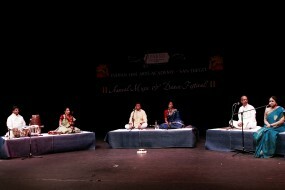 The nattuvangam by Jaya Chandrasekar was crisp and unobtrusive, complementing and blending with the dancers’ movements. 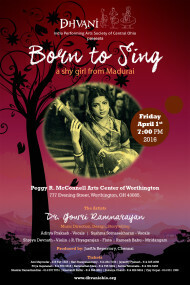 This was a program that any aficionado of Bharatanatyam should have seen and heard. 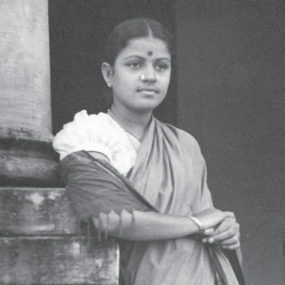 The vocal music sung by Vanathi had been meticulously prepared and presented. More the pity that the hall, though well filled, was not packed to capacity as would have been the case if the dancer was one of the glitterati names who adorn the Bharatanatyam stage today. The audience was also given reassurance that yes – the art and classicism of Bharatanatyam is alive and well even if not in abundant evidence. 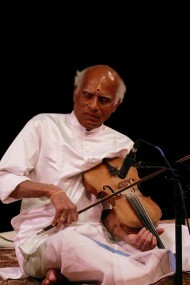 V.V Sundaram sums it up well in his remarks by saying “I thought I had seen some Bharatanatyam in my time. But I feel humbled by what we have seen today”. The following day Prof. CV Chandrasekhar conducted a two-hour lecture demonstration on two themes: the emotive aspects of nritta as well as aspects of music for dance programs. The latter brought out the significant differences in singing for dance concerts versus singing at a music concert. This was followed by a presentation of his abstract dance ballet, Panchabhootam. 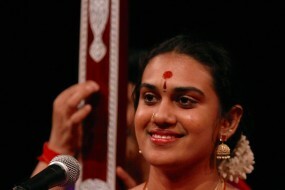 Ramya Harishankar and her troupe presented this program. They had come all the way from California at their own expense. In Ramya’s own words “ we wanted to present and share Chandrasekhar’s work and pay tribute to him at this event where he was honored with the title Nrithya Rathnakara.